LSAT is an integral part of the law school admission process in the United States, Canada, and a growing number of other countries. It provides a standard measure of acquired reading and verbal reasoning skills that law schools can use as one of several factors in assessing applicants. Graduate business programs use GMAT to make admissions decisions. If you’re serious about business school, then the GMAT is your best first step. GRE is accepted by thousands of graduate and business schools worldwide. It’s the only graduate-level admissions test that lets you skip questions and go back, change your answers and have control to tackle the questions you want to answer first. Read the GRE Test Information. 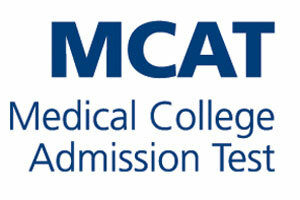 MCAT is a standardized, multiple-choice examination designed to assess your problem solving, critical thinking, and knowledge of natural, behavioral, and social science concepts and principles prerequisite to the study of medicine. DAT is designed to measure general academic ability, comprehension of scientific information, and perceptual ability. PCAT is a specialized test that helps identify qualified applicants to pharmacy colleges. It measures general academic ability and scientific knowledge necessary for the commencement of pharmaceutical education.